while our normal interest is larger. *Please call or email for prices. Currently, we are planning to drill a new well with operations to begin by Summer 2018. 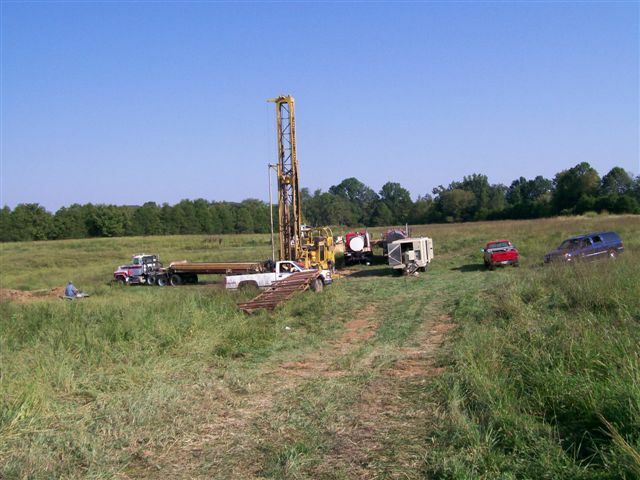 This project consists of drilling 1 new well in a field that has shown great potential. 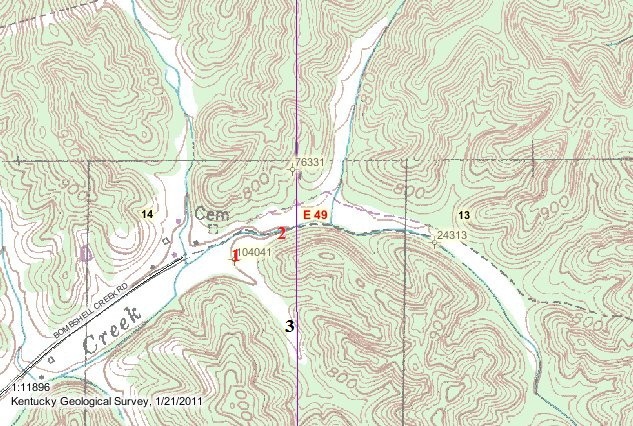 The new well site is marked #3 on the map. This well will be drilled to a depth of 1500 feet. lower Sunnybrook and Stones River formations. The geological makeup of the new #3 site is almost identical to that of our #2 wellsite. KGS have suggested that the oils of different formations have all migrated from the same source. accumulation of hydrocarbons in any of the formations. Once this conduit is discovered, there will be a giant oil field. between 70 and 80% of ones initial investment and the remaining amount over the next 7 years makes direct participation a much greater value than indirect participation through the stock market or mutual funds. * In conclusion, as the innumerable cost of oil and gas continue to rise over the next decade, it becomes vital to invest in such a manner as to lessen one's financial exposure to what is likely to be a very significant and negative change due to the volatile energy future. *On a personal note, would you rather invest in a new limousine for a sheik, or into Bombshell Oil, an American oil company. If you buy a bar of gold today, next week, next month or next year you still have 1 bar of gold. Whereas, if you invest in Bombshell Oil Co., we will do our best to drill you a well that could keep on giving for decades. *Benefits may vary. Check with your financial advisor. Documentation and maps were obtained from the Kentucky Geological Survey at the University of Kentucky.